Double your shooting time with the Vello BG-C8 Battery Grip, specially designed for the Canon EOS 6D DSLR camera. 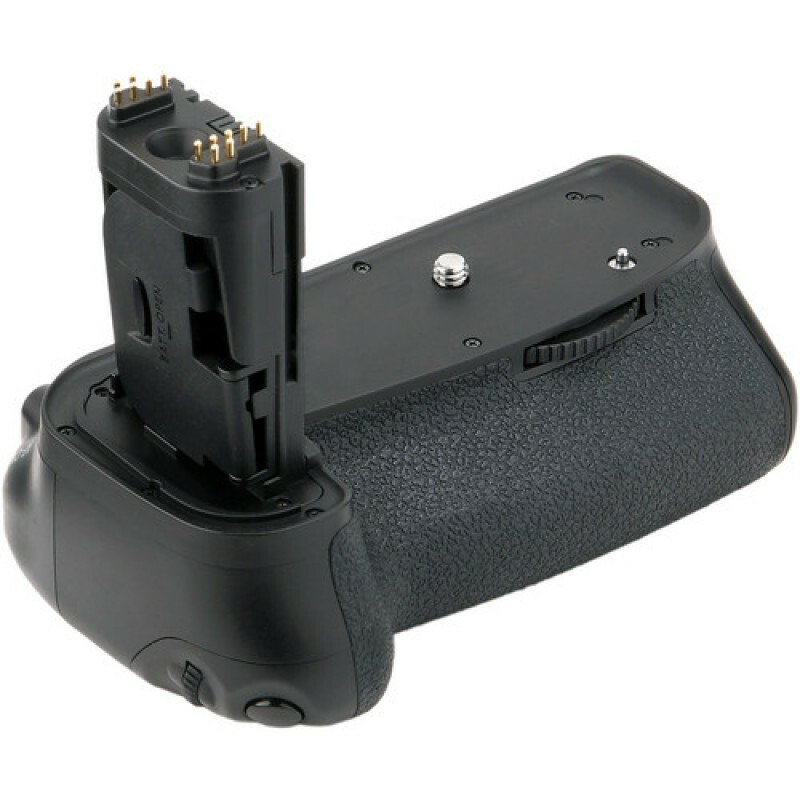 This sturdy grip not only doubles your shooting time but provides multiple battery options, accepting either one or two LP-E6 batteries or 6 AA batteries. 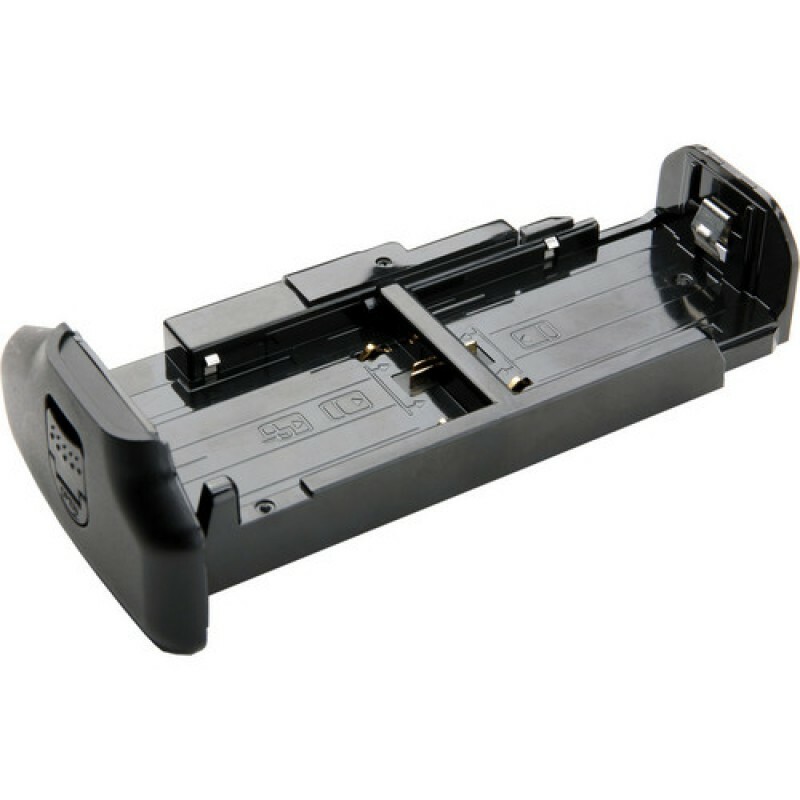 This mean you can either recharge the rechargeable battery packs while shooting or continue regular use in an emergency by popping fresh AA batteries in (via the included tray). 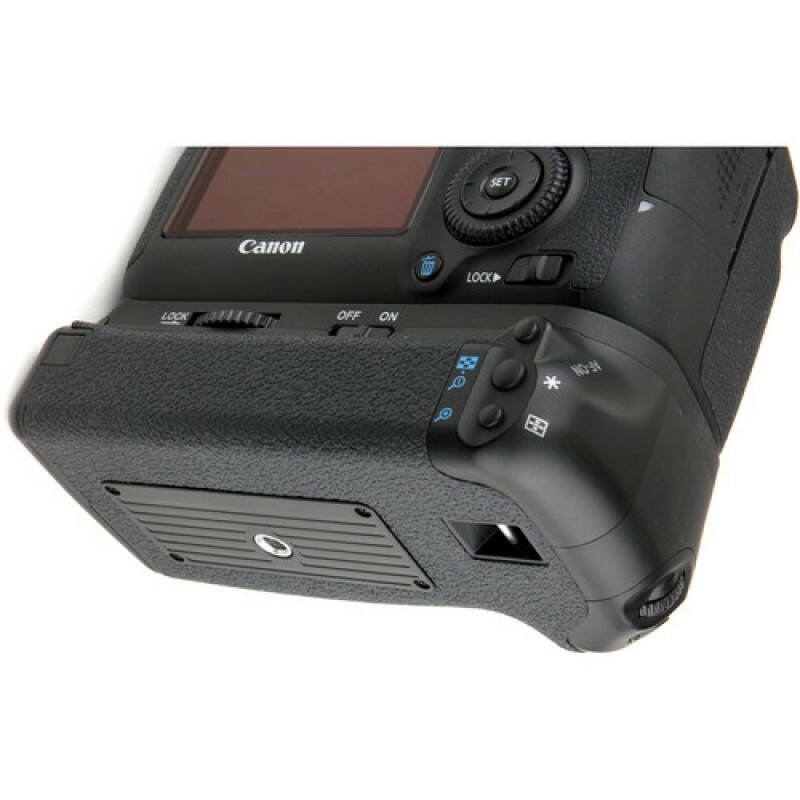 The grip itself is designed to facilitate holding the camera vertically, providing alternate shutter release, autofocus buttons and a main dial. 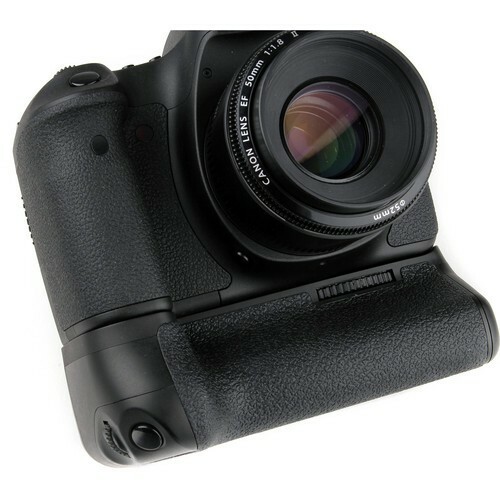 The rubberized grip includes a tripod mount, space for a hand strap to be fastened and a space to stow the camera’s battery door while the grip is attached. Comparisons with competing third-party grips (Neewer and Meike) have highlighted the Vello’s metal construction underneath the well-matched plastics and rubbers, leading to a much more solid connection and the ability to hold it by the grip, even when in motion. Designed to facilitate vertical handling, including replicated buttons for convenient and speedy vertical shooting. 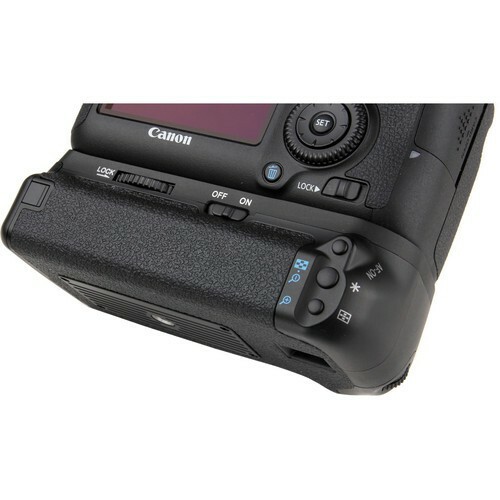 Buttons include: Shutter release, main dial, AF start/point selection/lock/FE lock buttons. Doubles shooting time using two LP-E6 (can we used with one at a time, facilitating rotating charges). Includes trays to hold and insert 6 AA batteries. Secures battery door and stores original chamber door while grip is in use. Standing ovation for this grip!!! The Vello Battery Grip is Perfect. I love the way it feels and its sized exactly with my 6D. Its well balanced and comfortable and at this price it’s just a perfect deal. I have been telling everyone to get it and no one is disappointed. Do not even think about getting one of the cheap knockoff grips. They might save you a drop of money but they have nothing on the superb quality of this Vello grip. The buttons feel great and offer a satisfying click that exudes excellent manufacturing. Also, the fact that this grip is less than 100 dollars is just crazy and I am really happy I found this deal! Looking back now I don't understand how I survived long shoots with out this grip to add comfort and extend the battery. P.S. Sorry about the long winded rant but this grip is just great. You cannot tell that canon didn't manufacture this grip together with my 6D. It fits on perfectly, matches the coloring and everything. I don't understand how canon sells any of their own. in looks fit and performance I actully liked this one better than the canon battery grip I considered. I'm so glad vello makes them for so much less with a better product than canon they could easily charge so much more for this. If you're looking for a grip you need to try this one before you shell out for canon. 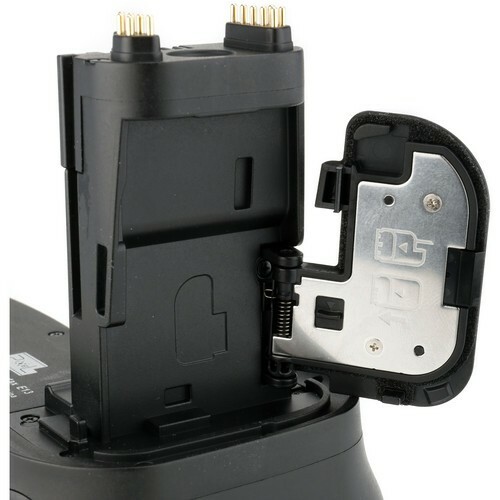 I Seriously do not understand why I bought the Cannon grip for my 7D. This Vello grip fits the 6D perfectly and is of equal if not better quality to the Cannon grip. There is no point in laying out the extra dough for the name brand grip when the Vello is just as good. I now plan on buying Vello grips for all of my future purchases. Exactly what I was expecting. No surprises. The grip feels well made and sturdy, while also managing to add very little weight to my 6D. Vello did a nice job with this grip and I recommend it to anyone with a canon 6D. Works on par with first party products. The extra battery life that this will give you is no joke. I can now get 10+ ours from my canon and with the added comfort of the grip I think I can actually make it through shooting that long too. The construction quality is high, the buttons feel great, and the fit makes it seem like it was made by Cannon. 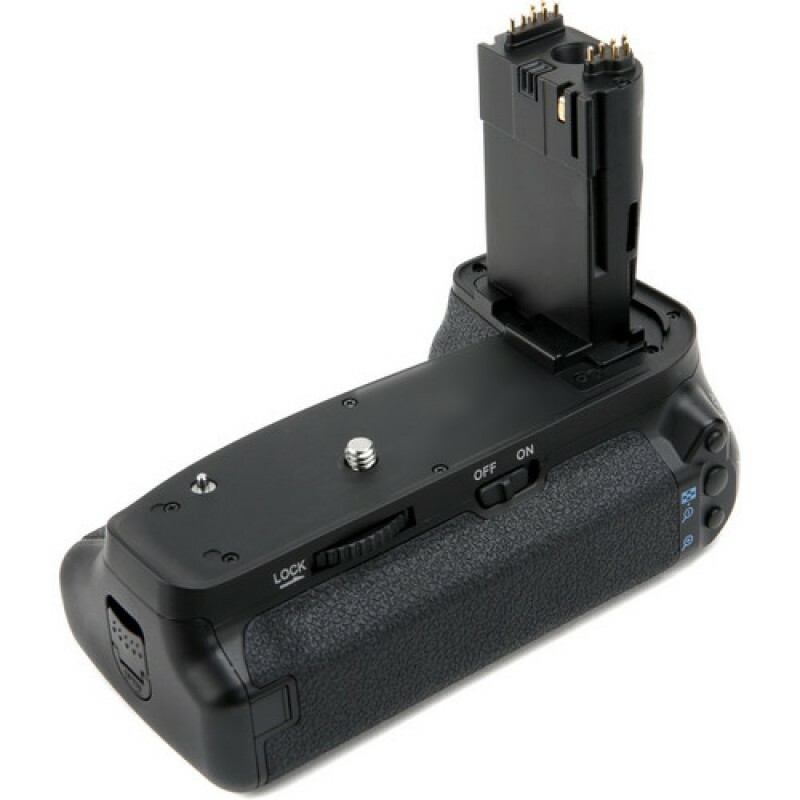 Ladies and Gentlemen, if you need to shoot continuously and with out having to change up batteries than this is the right product for you. I got this grip a few months ago and since than I have gotten so used to it I cannot figure out how I ever went without it. As for the general build quality, the locking screw is great and the tray is very sturdy. All in all this is a fantastic piece of equipment at a very competitive price. I often shoot long sessions (weddings, marathons etc.) so this grip was essential. The extra battery life is great and the added shutter control makes holding it a hella lot easier. (I have pretty large hands so I was worried the grip would not feel comfortable but it was great.) I got this for my 6D but now I'm thinking I will get the Vello grip for my 7D also. I love how Vello now started putting the battery in on the side instead of the back (though I think Cannon started doing this as well). Otherwise, the grip is solid and feels great. I would definitely recommend this grip over the Cannon which is pretty much the same but for three times the price. If you need a quality grip for a good price look no further. This Vello grip is built well and feels good in the hand. Portrait controls are very convenient and the buttons feel solid. The extra long battery life is an added bonus.